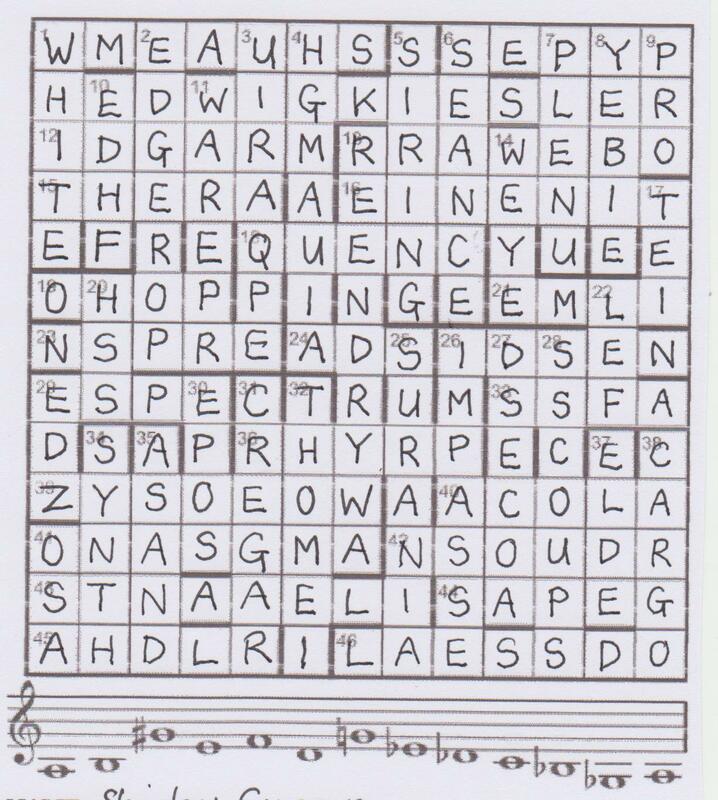 Yes, there is no denying that this little crossword was ‘Small but Perfectly Formed by Quinapalus’. It was the first one I have encountered by Quinapalus, though the name is familiar. Where do we immediately go for help when we are faced with some obscure verbal jumble or playfair code? Quinapalus, of course! However, the preamble was anything but small. 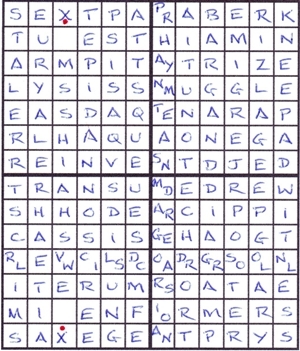 It filled almost as much space as the 27 clues and was just a mite daunting. I shelved my anxiety about ‘three dimensions … the shape of a cuboid … shown in four layers which solvers should imagine stacked in front of each other’. After all, we are becoming accustomed to the monthly BBC CiNA calendar 3D puzzles. 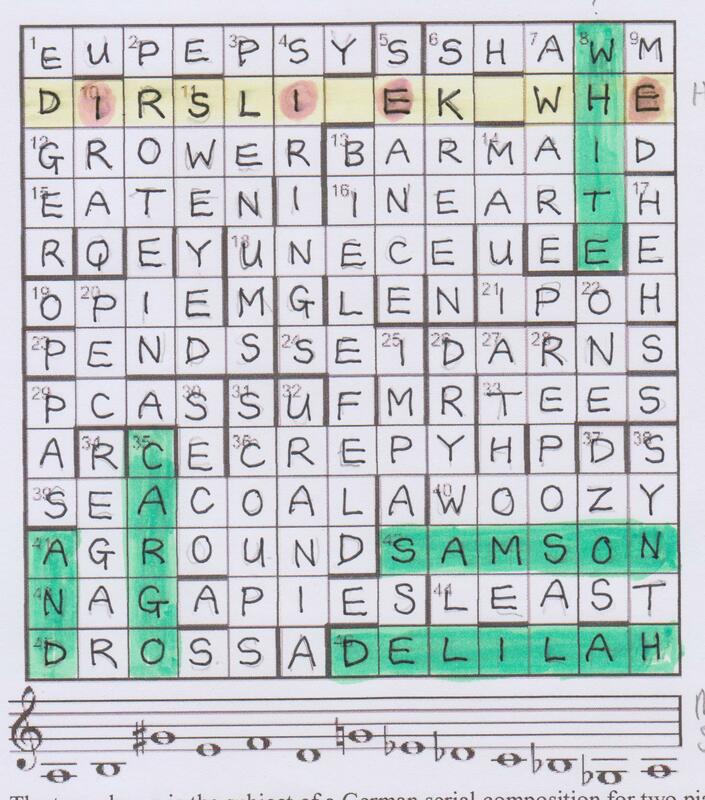 As usual, the clue length indicators were helpful, since we could at once see how many letters were coming out of the ‘Width’ clues. I slotted in PORTIERE as PORTIR and wondered whether this puzzle could continue to be so gentle. Indeed, it was! The solutions just fell into place and very soon we had SHAPE written alongside our width clues. This device of clues in three dimensions was magic and, with the help of Crossword Compiler’s ‘find word’ device, we soon had an almost full grid. No numpty red herrings? Of course we had! 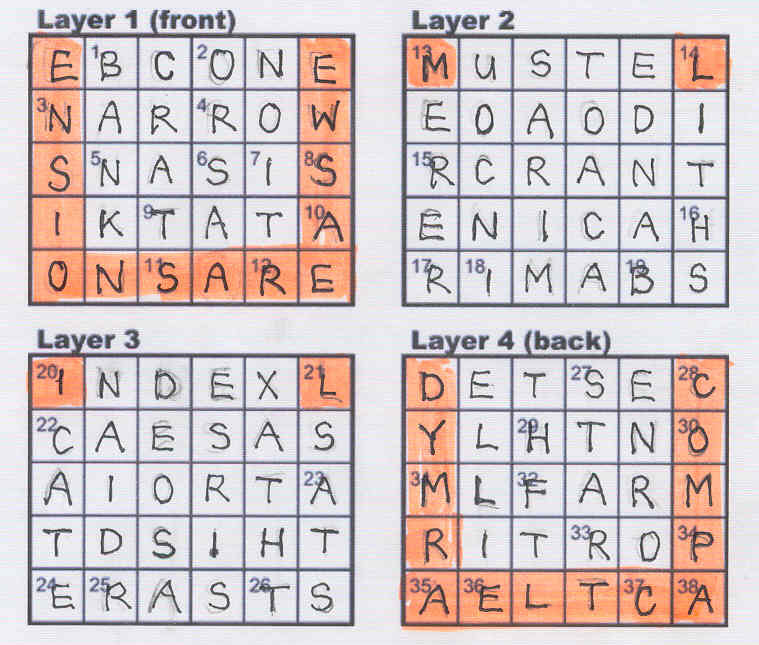 The very last clue was one of the first we solved and although we couldn’t justify the E at the end, we slotted in ASSERTIVE (When very laid back one’s against claiming one’s rights) AS + TRES (rev) + I + V (against). You can imagine what a mess that made of the north-east corner of our grid. Of course, ASSERTION was required. I though this was a delightful and very ingenious compilation. Easy – but I am not complaining, especially when we are expecting a nightmare numerical puzzle next week. A Friday evening Listen With Others blog is a rare event for me but a thoroughly enjoyable one. Thanks to Quinapalus!